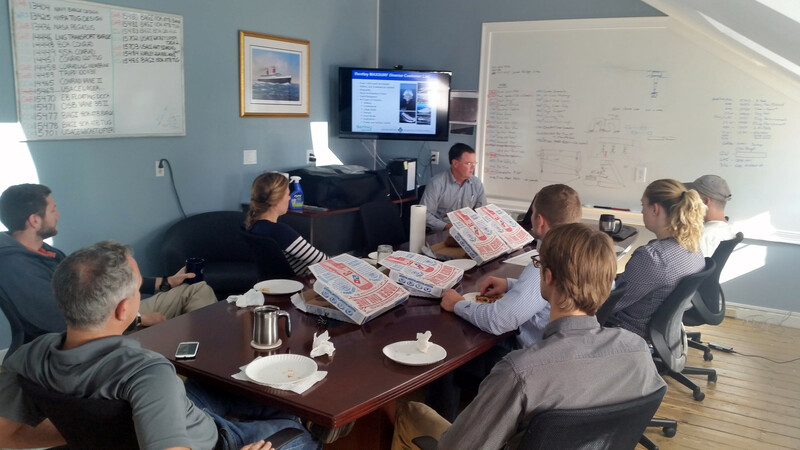 On Tuesday, November 3rd, Randy Brown, a sales representative of Max Surf came to Bristol Harbor Group, Inc. for a lunch and learn. 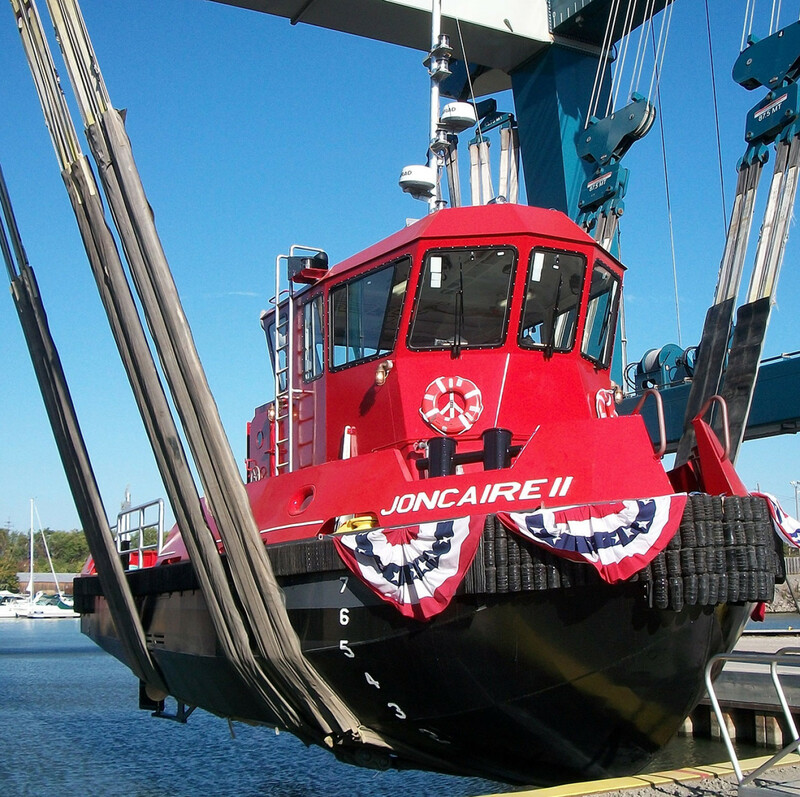 Bristol, Rhode Island – October 27th, 2015 – Bristol Harbor Group, Inc. (BHGI) is pleased to announce the launching of the DANIEL JONCAIRE II, 45’ twin-screw tug for the New York Power Authority (NYPA). On October 7th, 2015, Bristol Harbor Group, Inc. (BHGI) and its sister company, The Shearer Group, Inc. (TSGI) visited the Mat Sinking Unit on the Mississippi River for a project they are working on with the U.S. Army Corps of Engineers. 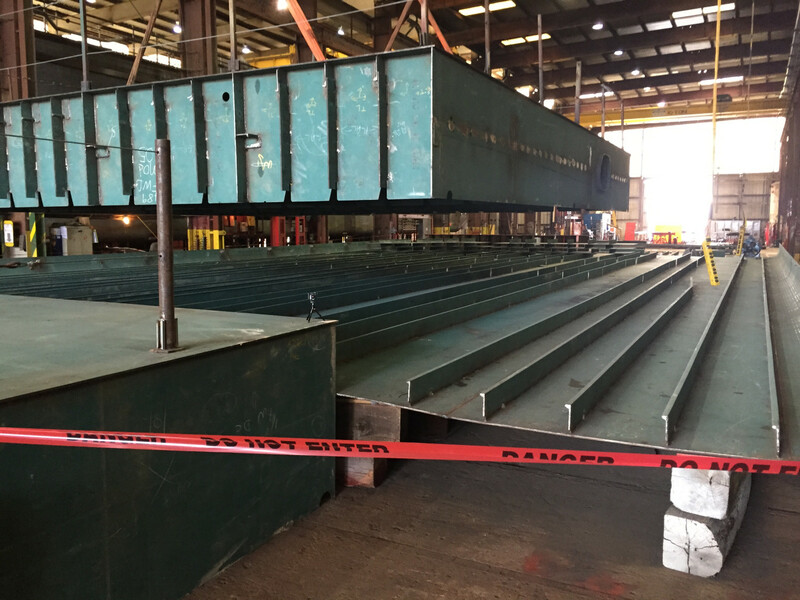 On September 9th, 2015, a keel laying ceremony was held at Conrad Orange Shipyard in Orange, Texas for North America’s first LNG bunker barge designed by Bristol Harbor Group, Inc. 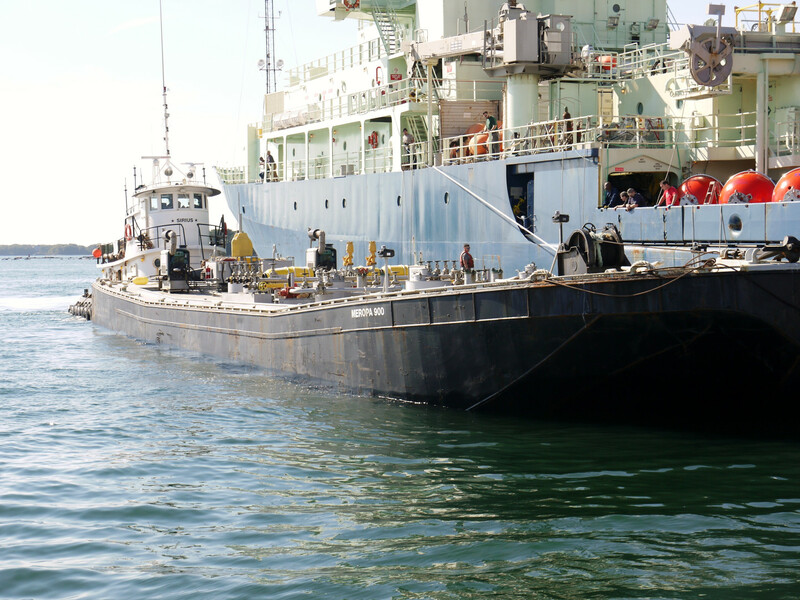 The MEROPA 900 refueled the WHOI oceanographic vessel Atlantis for the second time on Thursday, October 10. The barge sailed into the harbor and bunkered next to the Atlantis while the crew continued to work on the vessel. 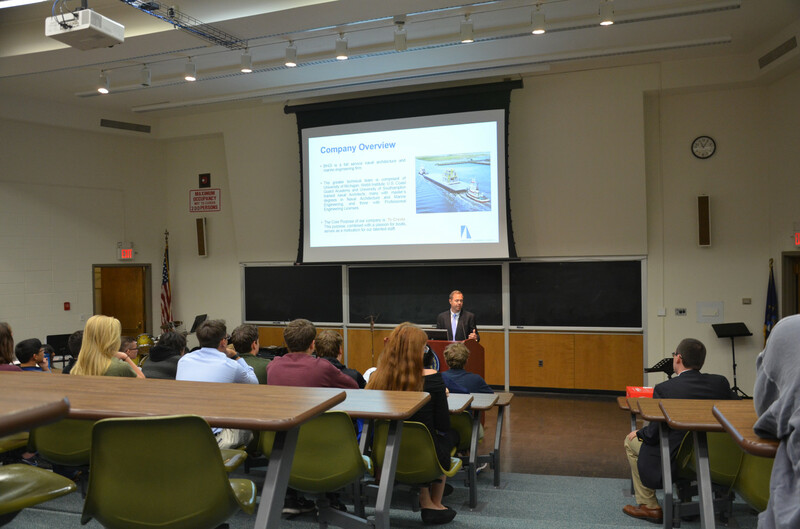 On Monday, September 28th, Greg Beers, P.E., President of Bristol Harbor Group, Inc. (BHGI) and Vice-President Cory Wood gave a presentation to students at Webb Institute in Glen Cove, New York about LNG as a fuel for U.S. vessels and an overview of the company. An article featured in the October issue of WorkBoat on pages 50-54 called, Mission to Mars by Ken Hocke is an article definitely worth reading. The article is about the lengthening of the NASA barge PEGASUS in order to carry the core stage of NASA’s SLS. 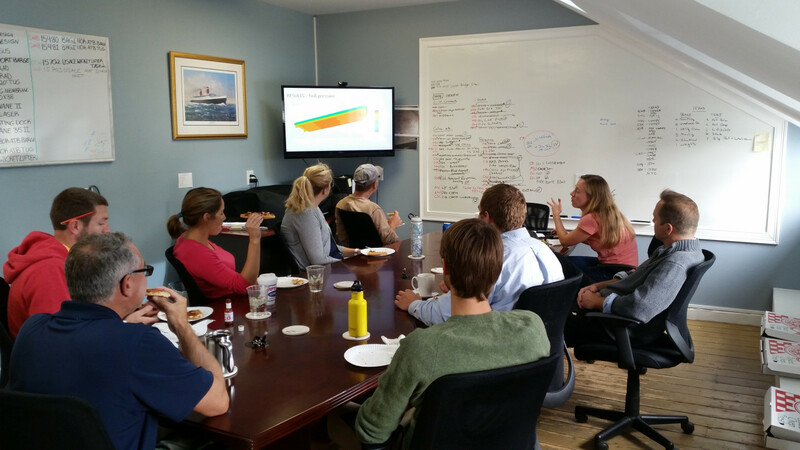 On Tuesday, September 22, 2015 one of Bristol Harbor Group, Inc.’s (BHGI) naval architects, Annie Fisher, hosted a lunch and learn and presented computational fluid dynamics (CFD) results of a BHGI designed ATB unit, 120′ tug, and multiple oil barges. 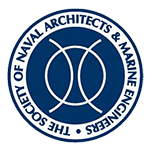 Bristol, Rhode Island – September 16th, 2015 – Bristol Harbor Group, Inc. (BHGI) would like to announce two new additions to its naval architecture and marine engineering practice. Over the past three months Zachary Gilfus, naval architect, and Marissa Stutzman, mechanical engineer, have joined our team. 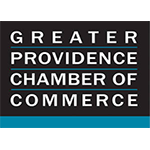 Bristol, Rhode Island – August 10th, 2015 – A white paper called “The Future of LNG as a Fuel for U.S. Vessels” By Gregory Beers, P.E., Bristol Harbor Group, Inc.’s & The Shearer Group, Inc.’s President, and Stan Youtt, a Bristol Harbor Group, Inc. Senior Naval Architect. Bristol, Rhode Island – September 8th, 2015 – Bristol Harbor Group, Inc. (BHGI) is pleased to announce that the Vane Brothers Company has taken delivery of a BHGI designed 55,000 BBL double hull oil barge. 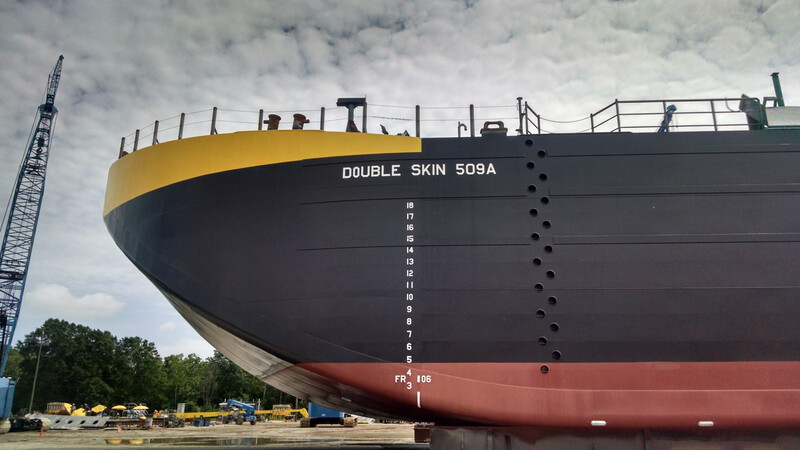 BHGI was contracted by Conrad Industries to develop the design of the 361’ x 62’ x 24.5’, 55,000 BBL double skin tank barge. 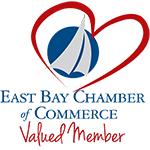 Bristol Harbor Group, Inc. is a full-service naval architecture and marine engineering firm specializing in commercial vessel design and consulting.